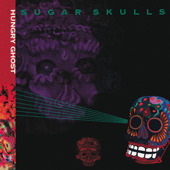 Hungry Ghosts is a 4-piece indie rock band based in Hong Kong. The band was founded in 2007 by frontman Luke Chow, a well-known musician active in the Hong Kong rock scene, and guitarist Paul Lam. Bassist Tiffany Laue and drummer Michael Jack joined shortly after, having met Chow and Lam by jamming at open mic nights in the city. Along with groups including Chochukmo, King Ly Chee, Poubelle International and My Little Airport, Hungry Ghosts are considered one of Hong Kong's most influential and well-established independent bands. The band has released two studio EPs and was featured on The Underground HK's annual compilation in 2010.